What a lovely surprise I got this morning. We are having family visiting due to Glasgow hosting the Commonwealth Games and as soon as they left for another day of sports, I sat down to check my inbox. And then I started giggling. I just got my first cover, folks, and I had no idea it was happening. 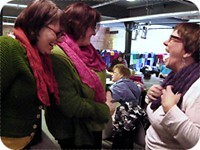 Several months ago, I was approached by the lovely people at Let's Knit magazine. They commissioned me to design a hat/gloves set celebrating my Scandinavian heritage. I also did an interview with them talking about my family background, how I got into designing, and why I am passionate about getting other people thinking about crafts. And I started out sketching my design. I was watching a film from the early 1930s when the initial idea came to me, so I knew I wanted a 1930s colour scheme. I had just finished working on a big colourwork project so I used the left-overs for the swatch but I already knew the green wasn't quite right. I needed a cooler seafoam green. Next came the idea to do very, very straightforward colourwork. I picked some of my favourite motifs and played with them until I had some simple, fun motifs I could scatter across my canvas. I drew upon my knowledge of Faroese knitting which is more geometric than Shetland colourwork - and I ended up with something that was super-cute and super-fun .. even for people who are not that confident at colourwork. I was very lucky that my Let's Knit editor was onboard with my ideas very quickly and knew what I meant about getting the right colours. 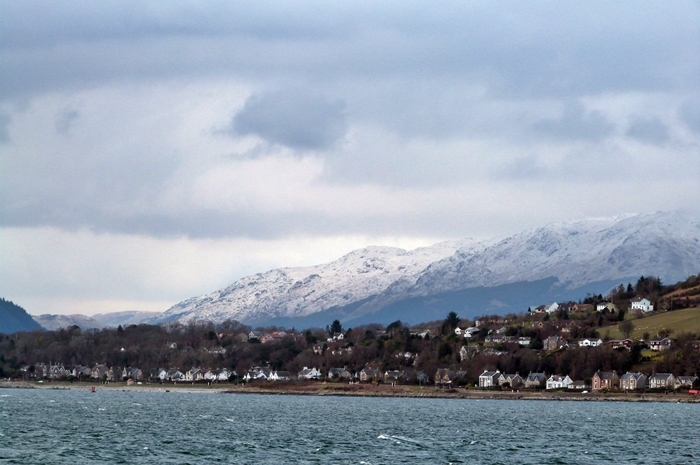 Sarah suggested looking at Jamieson's Spindrift which is a wonderful British yarn that comes in a myriad of colours. I have used Spindrift before and it knits up beautifully. The pattern only uses three colours, so working out a colour scheme is relatively easy. Second contrast - make sure this matches the other two colours but make sure it doesn't take over the entire look - the sample used Sorbet, a cool mid-range pink with a grey undertone. The colour combinations are endless. This is partly what I love about colourwork - you get to paint with yarn. I cannot help but feel that autumn is on its way - I am utterly delighted to have secured the cover of Let's Knit and I can see many other new patterns are heading out into the world right now. I love this time of the year. Welcome to new visitors brought here by Knit Now and Yarnwise magazines! It has been a bit of a bumper week in terms of media coverage, it is fair to say. I have a pattern in the latest issue of Knit Now. 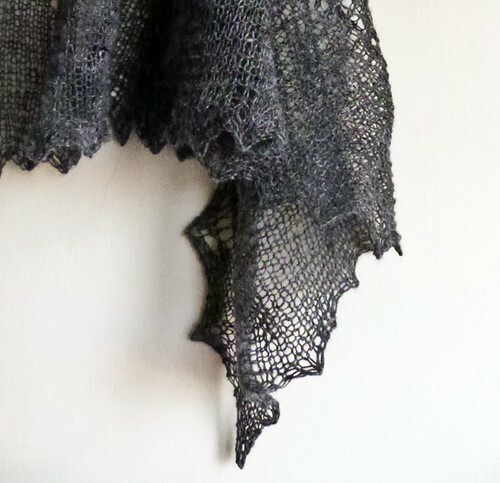 The Botanical Gardens Shawl was a lot of fun to design: it starts off as a standard stocking stitch triangular shawl and then moves into a striking flower pattern which gives way to softly falling petals. I really enjoyed designing something that just flows organically from one stitch pattern into another and which looks clean & non-fussy. The shawl also served as a master-class in how magazine work actually works. It is not a designer having a definite vision: it is always a collaboration. I designed this shawl for Knit Now's Garden Party story in December or January. I first envisioned the shawl knitted in lace-weight yarn and in soft pastel colours - a very soft sage green or a pretty primrose. The Knit Now team suggested the gradient SparkLynne 4ply yarn from The Knitting Goddess instead - the chosen colourway ran from a cool white via pale lavender to a dark violet. It was a completely different direction but the graduation works perfectly with the way the stitches travel and a 4ply makes far more sense too. The ombre yarn meant that the shawl was moved from the Garden Party issue to the Colour Graduation issue as well - and the shawl works so well within the context of the other designs in the issue. Both Knit Now and Yarnwise focus on my Doggerland collection - Knit Now has a wonderful interview with Fiona of The Island Wool Company and Yarnwise has written an entire feature about the collection(!). I know a lot of people are still trying to catch up on knitting from the collection, so I am slowing things down a tiny bit. 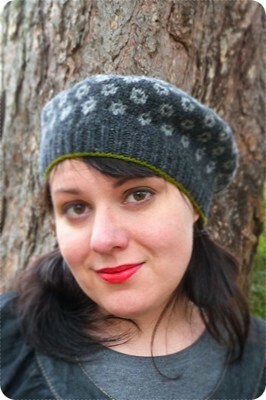 The next pattern is a unisex pattern and it should be out by mid-week next week. So, it has been a bumper week - maybe it is more like a bumper year, really. Apart from the Doggerland collection, I have more 'things' in the pipeline. I am working with Old Maiden Aunt on a special project which will be unveiled in November, I'm collaborating with The Yarn Project, and I am also busy swatching for other 2014 work. 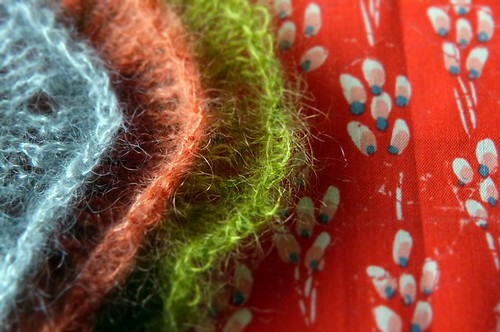 I can show you a tiny, tiny glimpse of what I worked on yesterday - any guesses? 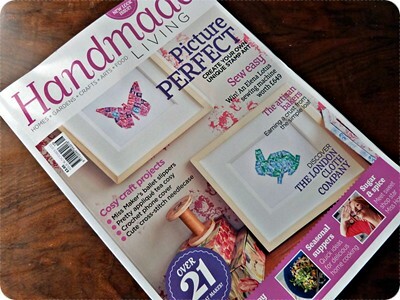 Handmade Living landed on my doorstep this weekend. 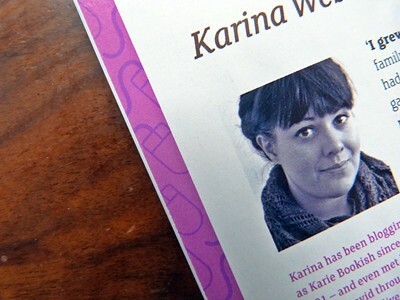 It is a lovely, accessible and crafty lifestyle magazine which encourages people to make a go at things themselves. And (probably because I am the sort of person who likes to have a go at things herself) I am in this issue. There I am. Hello you. Blogging (and micro-blogging on Twitter) may give you the impression that I am a bubbly extrovert person, but I am not. I am quiet, introvert and only truly relaxed when in a small group of friends. I am never very comfortable talking about myself - and giving the interview to Handmade Living was really difficult for that very reason. Like pulling teeth, I tell you. Luckily, the journalist was very patient and kept loping me some very good questions that made me relax and open up. So, if you have arrived here thanks to Handmade Living: hello! It is a funny old world. One day a girl may be in the depths of despair as her world tilts on its axis, then she decides to "make a go of things" out of sheer bloody-minded determination and a few years down the line, magazines ask her questions about herself as though she was somehow special or interesting. Yes, it is a funny old world. What a lovely day. The postman brought me the April issue of UK knitting magazine Let's Knit in which I appear. Elaine from the editorial team contacted me back in January and after my busy few months I had actually forgotten I was going to be featured. A nice surprise. I spent an hour in bed looking through the magazine. I particularly liked the editorial on how to tie knitting into the key fashion trends of the season. Sometimes I think knitting likes to live in its own little fashion-bubble so it was nice to see how knitters can relate to, ahem, the normal world. The postman also brought me some clearance-priced yarn from Kemps (that place is responsible for about half my yarn stash, I swear). I stocked up on RYC Cotton Jeans for some forth-coming baby-knitting projects as well as some RYC Natural Silk Aran which is earmarked for a stashbusting project. Lovely textures and colours at a good price. I was chuffed. I continue to be chuffed about my Fancy jumper too. The combination of an Estonian lace stitch and Kidsilk Haze = heady stuff. The stitch pattern is now so intuitive that I can knit it on my commute, at knitting group and in front of the TV. Madness. I'm really enjoying working on it. I am still worried about the sizing though. I have gone down a clothes size but it still looks very wide. As a result I'm changing the garment a tiny bit: the jumper is supposed to hit you around the lower hip-area, but I'm going to make it shorter so it has an almost cropped appearance and I'm going to shorten the sleeves too. Hopefully it'll sort out the dimensions. I still wonder if it weren't meant to be knitted on 3.5mm needles instead of the recommended 4.5mm? I want to share a project made by a friend from my knitting group. 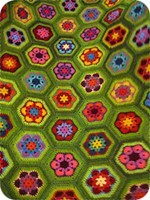 I was lucky enough to see this crochet blanket in person earlier this week and I was blown away. It really makes me want to sit down and make my own crochet blanket .. but that way madness and stash-enhancement lies. Plus I'd go slightly nuts after the first twenty motifs. My main knitting group is actually so big that it has several divisions: I met the blanket maker when I happened upon the South Side division at the Tramway. I was only there to take down my knitted sculpture but was very, very pleased to see so many familiar and lovely faces. My partner was on hand to help me and was so amused by what he called "a tribal encounter" that he had to take a photo..
.. I have no idea what he means! 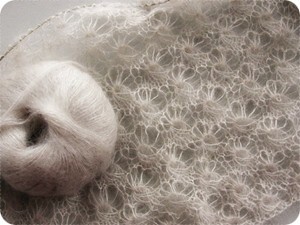 Finally, get yourself ready for Knitting & Crochet Blog Week 2011! I participated last year and found some new favourite blog reads. I'm in two minds whether I will participate this year (time constraints plus I feel like I have already written about some of these topics) but I know I'll be reading a tonne of fabulous new blog posts as a result of K&CBW.